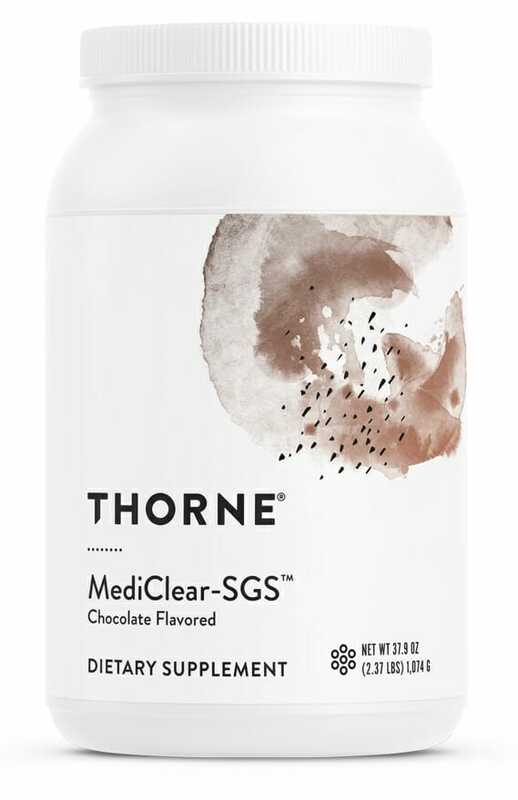 In an effort to create a protein powder which is supportive of natural liver detoxification processes, Thorne Research has crafted MediClear-SGS with quality protein sources & liver health ingredients like Sulforaphane Glucosinolate, milk thistle & more. 2Finding the right protein powder to meet the individual needs of your body can be difficult, especially with so many brands flooding the market with low-quality, poorly-dosed ingredients. Such powders may have a pronounced negative effect on the health of the liver – the body’s primary detoxifying organ. Thorne Research plans to change all this with their MediClear line of liver-friendly protein powders. MediClear-SGS also features unique antioxidant protection via Sulforaphane Glucosinolate. Based in natural rice protein and pea protein isolate. Sulforaphane glucosinolate is a cutting-edge ingredient for antioxidant and anti-inflammatory support. 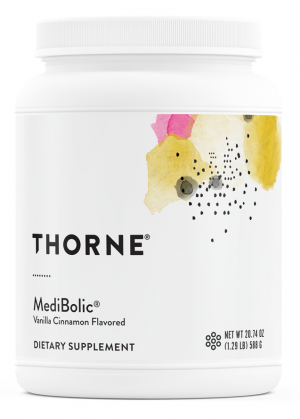 Contains notorious other liver health support ingredients like curcumin, milk thistle, and green tea. May provide a useful nutritional boost for a variety of athletic and exercise activities. Delicious chocolate flavor is derived in part from real cocoa! Protein powders can be an extremely useful tool for athletes, gym rats, and others who engage in regular workout and exercise routines. However, not a lot of people know that powders which are made from low quality ingredients might pose a substantial threat to the health of the liver. As the body’s central detoxifying organ, proper liver function is essential to keeping the body cleansed and protected from toxins, free radicals, and other harmful bodily invaders that may cause oxidative stress and imbalance. So, how to get all of the energizing and nourishing benefits of protein powders without also exposing the liver to these potential harms? Quality protein powders, like the rice and pea protein isolate contained in this formula, are essential, not just for optimal workout support, but also for liver health. Some of the most popular supplement brands use low quality protein sources which tend to be poorly absorbed in the digestive tract, making them less useful for workout support and more stressful on liver detoxification processes. To counter this, MediClear-SGS only uses protein sources which are widely acknowledged as being safe and absorbable in the body. In addition to quality protein sources, this amazing powder also contains a unique blend of liver health support nutrients. The leading research seems to indicate that SGS provides nutritional support via antioxidant and anti-inflammatory mechanisms. 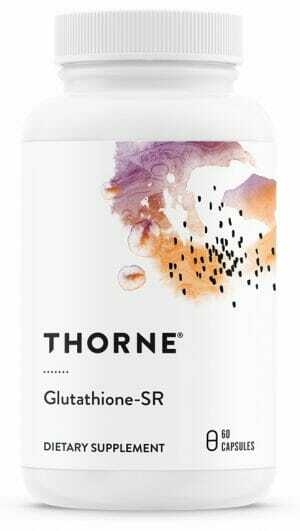 These include the induction of numerous enzymes, including glutathione transferases (GST), which serve as antioxidant response element (ARE) targets; as well as being heavily involved in xenobiotic detoxification. In addition, SGS’s anti-inflammatory properties are rooted in the inhibition of cytokine production.2 All of these supportive roles may be used to aid in the natural protection and function of the liver. 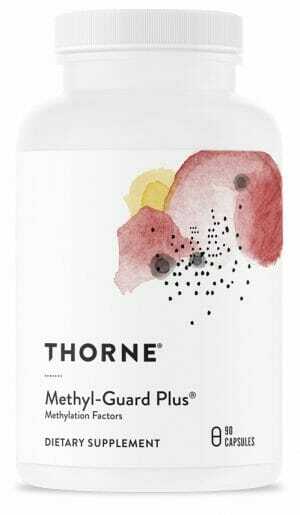 Not only does Thorne Research’s MediClear-SGS contain this cutting-edge antioxidant and anti-inflammatory support compound, it also contains a number of other important ingredients which may aid in liver health. 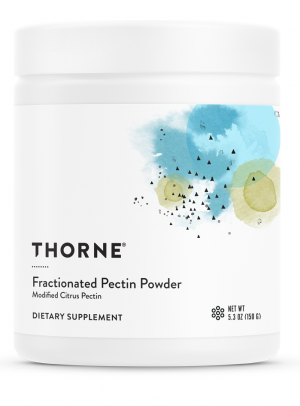 These ingredients include milk thistle, green tea, N-acetyl-L-cysteine, and curcumin. Note: This product is not a medical food. It is intended to be utilized in conjunction with a complete dietary program. Do not use in diets supplying less than 600 calories per day without complete medical supervision. Other Ingredients: Cocoa, Flavors, Evaporated Cane Juice Sugar, Glucose, Stevia extract (leaf) (Rebaudioside A 95%), Silicon Dioxide, Monk Fruit concentrate (fruit) (Siraitia grosvenorii)††††††††. Contains ingredients derived from soy (Curcumin Phytosome, Grapeseed Phytosome, and Green Tea Phytosome). †This product uses Gnosis S.p.A.’s L-5-Methyltetrahydrofolic Acid, Glucosamine Salt (Quatrefolic®). Quatrefolic is a registered trademark of Gnosis S.p.A.
††This product uses Albion’s TRAACS® Chromium Nicotinate Glycinate Chelate, Manganese Bisglycinate Chelate, Molybdenum Glycinate Chelate, and Zinc Bisglycinate Chelate. TRAACS is a registered trademark of Albion International, Inc.
†††VegaLite, Thorne’s trade name for proprietary pea / rice protein blend. ††††† This product uses Indena S.p.A.’s green tea phytosome (Greenselect®), grape seed phytosome (Leucoselect®), and curcumin phytosome (Meriva®). Greenselect, Leucoselect, and Meriva are registered trademarks of Indena S.p.A.
††††††The extraction of glucosinolates from cruciferous seeds is protected by U.S. Patent No. 5,725,895. The use of this product is protected by U.S. Patent Nos. 5,968,505 and 5,968,567. TrueBroc is a trademark of Brassica Protection Products LLC. †††††††This product uses Albion’s Bororganic™ Boron Glycinate Complex. Bororganic is a trademark of Albion International, Inc.
For adults and children 12 or more years of age Mix one serving (two scoops) with at least 10 ounces of cold water, juice, rice milk, or nut milk, or as recommended by your health professional.